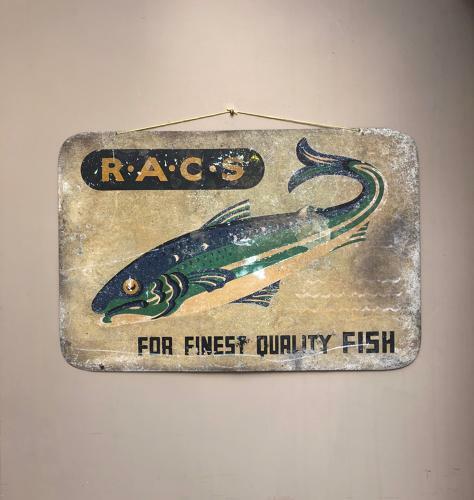 A great size & very decorative painted aluminium mid century sign advertising the finest quality fish. Holes at the top to wall fix but I have added some string to photgraph. Wonderful aged patina...original paint. Lovely on a kitchen or restaurant wall.